No matter your thoughts on the status of the SSPX, Fr. Pagliarani shares some inspiring thoughts in the interview below. Comment: In the current climate of treachery, confusion and threatening doctrinal apostasy among many of the bishops (successors of the Apostles) in the Church today, it is encouraging to hear that the Truths and Traditions of the Catholic Church are very much in place and will remain so till the end of time. The SSPX may well be in canonical irregularly with the current ecclesiastical hierarchy – due, mainly, to its refusal to accept certain parts of the documents of Vatican Two – but its faithfulness to the treasure of the Church’s unchanging Deposit of Faith is irreproachable. 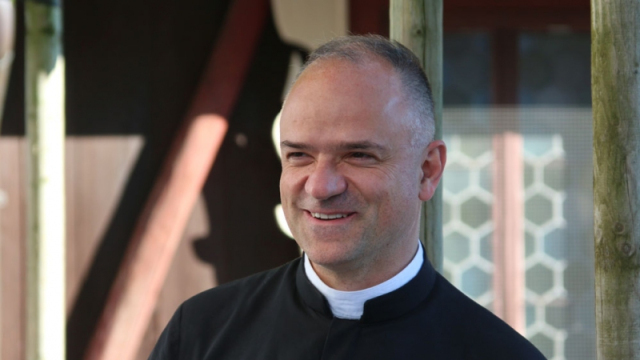 Interview with the Very Reverend Father David Pagliarani, Superior General of the Society of Saint Pius X, first published in NouvellesdeChrétienté [NewsaboutChristendom] Issue173.